The Abbott Government's 'White Paper' on Tax could see big changes to superannuation and the overall tax mix. But the Paper seems oriented towards the Government's Ideological preference for 'small government', 'low tax' and 'simple/regressive tax' as opposed to a progressive tax system. Labor and the Greens need to enunciate a comprehensive alternative - also informed by a progressive ideology of equity and fairness. Tristan Ewins looks at the alternatives. The Federal Australian Treasury’s White Paper on tax reform seems to have been received well by the Abbott Conservative Government. Amongst other suggestions, it urges slashing the Company Tax rate to make Australia a more attractive place for investment. But arguably decreased Company Tax is not the answer and will only lead to further ‘corporate welfare’. The white paper complains that 70 per cent of Commonwealth tax revenue is drawn from personal and company taxes. But what is the alternative? A higher GST? More user pays? More austerity in the context of an-already stunted social wage and welfare state? For a start, lower Company Tax rates dilute arguments about the unfairness of ‘double taxation’. Australia’s Company Tax rate has been reduced markedly since the Keating Government which introduced the dividend imputation system. Countries such as the UK and France – which once had imputation – have now dropped the measure. It no longer appears ‘necessary’ either for ‘fairness’ or ‘competitiveness’. To clarify: Nicholas Gruen of ‘The Age’ pointed out in 2012 that the cost of Dividend Imputation to the Australian people (as represented in the Government) of over $20 billion a year! The result of falling Company Tax, dividend imputation and other pro-corporate measures has been much lower levels of tax paid by business, and the effective consequence of ‘corporate welfare’, in tandem with other effective corporate subsidies. For instance David Holmes at ‘The Conversation’ has noted– “the fuel tax credit scheme to the mining industry” which delivered $2 billion in corporate subsidies for mining corporate interests in 2011 alone; and a total of over $5 billion all up. But it goes much further than this. Corporate welfare can also be interpreted as taking the form of a falling minimum wage and a falling wage share of the economy. In Australia specifically the wage share fell by about ten percentage points since 1959. (see the associated graph via the hyperlink above) That means higher levels of exploitation of working people by business. That is, Australian workers are subsidising corporate profit through lower relative wages. Further, there is an assault on welfare rights to ‘make room’ for effective corporate tax subsidies; and ‘punitive welfare’ , ‘work for the dole’ etc, effectively reduce the bargaining power of workers because of an insecure and desperate ‘reserve army of labour’. Also consider the proliferation of ‘user pays’ measures. (for example for access to transport infrastructure; school ‘levies’; a higher cost of living re: water and energy etc) User pays mechanisms can only spread as a consequence of lower taxes. What we do not pay for collectively as tax payers, we will pay for (and usually we will pay more) in our capacity as private consumers. Declining levels of corporate contributions (via tax) to the construction of infrastructure, and the development of skills which the corporates benefit from – means the burden is increasingly paid by workers, consumers and individual (private) tax payers. More corporate welfare! Privatisation of communications, energy and water utilities and assets such as state-owned banks also saw an end to progressive cross subsidies. At the same time – progressively from the 1980s and 1990s - a more regressive tax mix (including the GST) ‘began to bite’. Importantly, the argument that rates of corporate and personal income tax must fall because of ‘competition’ does not apply to all companies and individuals. Many companies cater to Australian markets and Australian consumers. The threat of capital flight is not universally applicable; and contributing to a ‘race to the bottom’ on corporate tax will result in spiralling and out-of-control corporate welfare. Global action is necessary to stop the existing ‘race to the bottom’ on tax. To get the situation in perspective: Company Tax (now 30 per cent) has been reduced by approximately 20 percentage points since the time of the Hawke Labor Government. The cost to the Australian people of this is tens of billions in revenue annually - which might otherwise have been directed towards infrastructure and education (which the corporate world benefits from after all), as well as health, social services and welfare. Furthermore, arguably most Australians are not so ‘mobile’ as the proponents of lower income tax suggest either. Taxes also contribute to the quality of infrastructure and services which underscore the desirability of living in particular country. This includes the professionals which some say are likely to ‘pack up and leave’ if progressive income taxes remain. Indeed the quality of education, services and infrastructure also acts as a ‘pull factor’ for investment and skilled labour. But because apparently an increase in GST is rejected by the Andrews Victorian Labor Government we might hope for a more equitable alternative. Unfortunately, though, it is more likely we will simply see further austerity. The Treasury white paper apparently complains that only Denmark relies more on income and company taxation than Australia. But ‘just because other people are doing something’ is not a strong argument to follow suit. More appropriate would be to consider what –if anything – is wrong with the Danish tax system and economy. It has the world's lowest level of income inequality, according to the World Bank Gini (%), and the world's highest minimum wage, according to the IMF. As of January 2015 the unemployment rate is at 6.2%, which is below the Euro Area average of 11.2%. As of 28 February 2014 Denmark is among the countries with the highest credit rating. So Denmark has a strong economy. It has chosen ‘a different path’, say, compared with the Anglosphere. But its path of high, progressive taxes, labour market regulation and strong social welfare works! Finally the Treasury White Paper has considered the threat of bracket creep, and apparently the Abbott Conservatives are considering an increased GST as an alternative. Bracket Creep refers to workers being pushed into higher tax brackets as a consequence of inflation, and (only nominally) increasing wages. Both Labor and Liberal governments have a history of dealing with bracket creep by returning the proceeds to tax-payers through tax cuts. Though even under Labor arguably this has sometimes been dealt with in a regressive way. Higher brackets have been eliminated or cut - or raised so high as to minimise their progressive impact - and restrict (relatively) strong progressive taxation to only the most wealthy of all. Arguably this is to the benefit of the upper middle class and the wealthy; and to the detriment of working people, including the working poor. It means the working class and the poor pay more proportionately; and that those in need suffer with the constriction of the social wage and welfare. But this is not an honest Liberal-National Federal Government. Joe Hockey made the ingenuous claim, for instance, that Australians pay 50 per cent of their income in tax. To summarise – Australia’s income tax system involves several brackets. Higher brackets and rates only apply after specific thresholds are met. So as Phillips insists: NO-ONE is paying 50 per cent of their income in income tax! Hockey is not stupid. Surely he understood this. Apparently he was attempting to tap into populist anti-tax sentiment through a deceptive and false argument. But depending on your notion of ‘the good society’ tax as a whole needs to go up; and the tax and spending mix also needs to be reformed. Negative Gearing, for instance, benefits upper middle class investors; but does not create much in the way of new employment. And important social programs demand higher levels of social expenditure. At a crude estimate these items would likely cost over $50 billion a year to implement out of an economy valued at around $1.6 Trillion. The Treasury ‘white paper’ on taxation seems at a first glance to largely comprise a ‘wish list’ for Liberals pursuing an ideological ideal of small government, low taxes, and high levels of inequality. (which the Liberal ideologues put down to ‘merit’) Labor and the Greens need to develop their own responses. And hopefully this post will contribute meaningfully to that process. 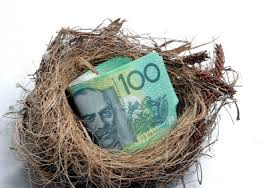 *It should be noted, however, that even $1 million in accrued superannuation will provide a relatively modest retirement income of $33,000 a year. (compared with a Single Aged Pension of just over $22,000 and in the case of a couple roughly $17,000 each) This is far from grandiose – though assuming the recipients’ home is owned it provides relative comfort compared with those fully dependent on the Aged Pension. (more than $10,000/year additional income) But The Australia Institute has suggested that cuts in Superannuation Concessions - which cost taxpayers tens of billions annually – could instead be channelled into a more robust Aged Pension – lifting the full Single Rate to just over $26,000/year, and just under $40,000/year for couples. The rate at which the Aged Pension is withdrawn could also be slowed, benefitting those with smaller superannuation accounts – and especially women – who have suffered as a consequence of interrupted working lives and the devaluing of ‘feminised’ professions.